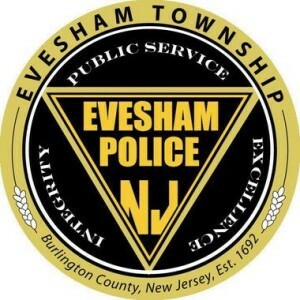 On Aug. 20 at 8:25 p.m., the Evesham Police Department responded to Promenade Shopping Center, located on Route 73, for a report of a strong-armed robbery. Investigation found that one suspect walked next to a 75 year old female. The suspect violently grabbed the victim’s shoulder hanging purse and attempted to pull the purse away from the victim. The force of the attack knocked the 75 year old victim to the ground; the suspect pulled the female along the concrete, ultimately pulling the purse away. The 75 year old victim suffered a broken arm, broken hip, internal bleeding, severe facial lacerations and was treated at Cooper Trauma Center. The victim is still hospitalized from the attack. The break in the case came on Sept. 5 when detectives assigned to the investigation came across a similar type crime while monitoring the internet for leads. As detectives dove deeper into a duo arrested by the Hamilton Township Police Department for purse snatching and burglary they discovered many similarities to the suspects in the Evesham robbery. On Sept. 8 investigators were able to link the pair to the robbery in Evesham from evidence collected at the scene along with interviews of the suspects. A male, age 36, of Millville, was charged with first degree robbery, second degree aggravated assault, and third degree theft. Bail was set at $250,000. Both suspects are currently lodged in the Atlantic County Jail.